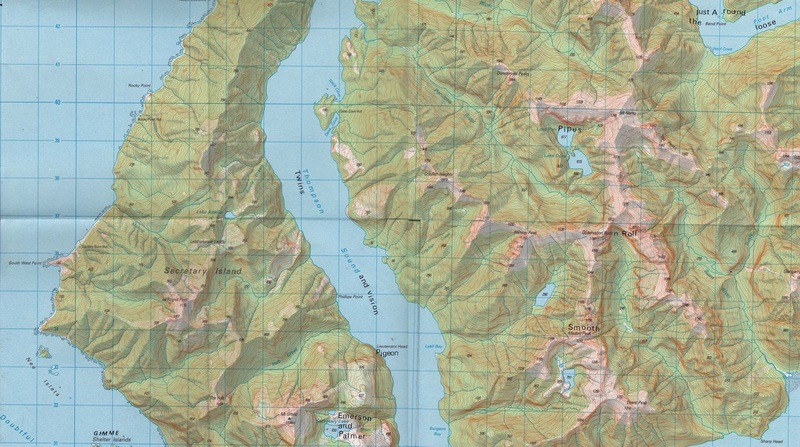 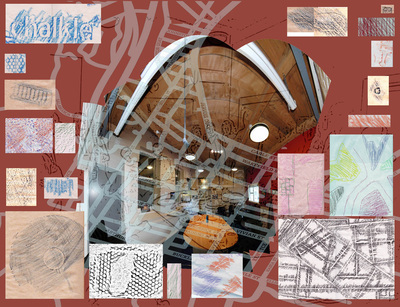 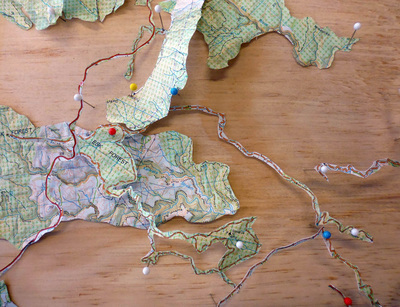 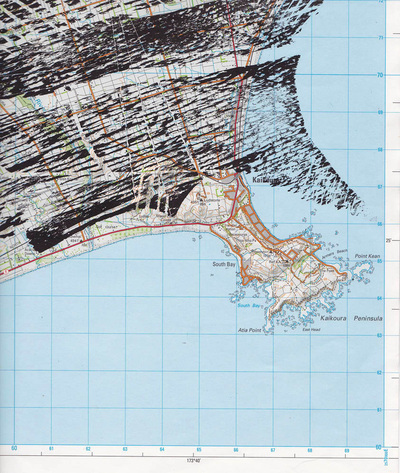 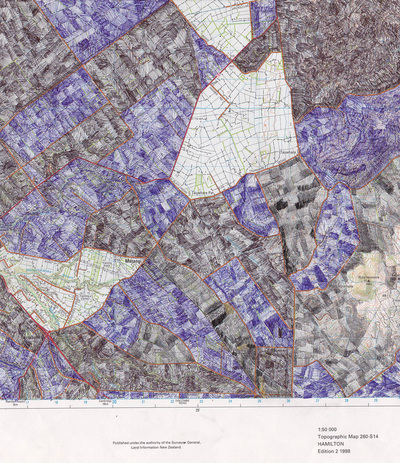 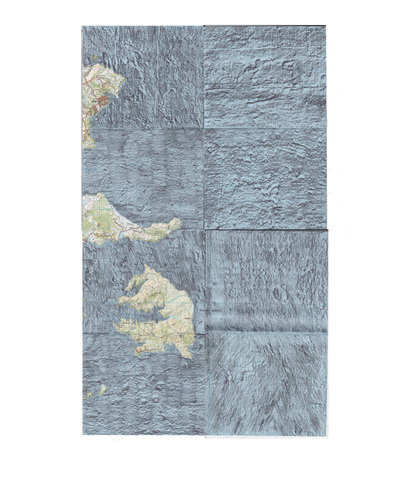 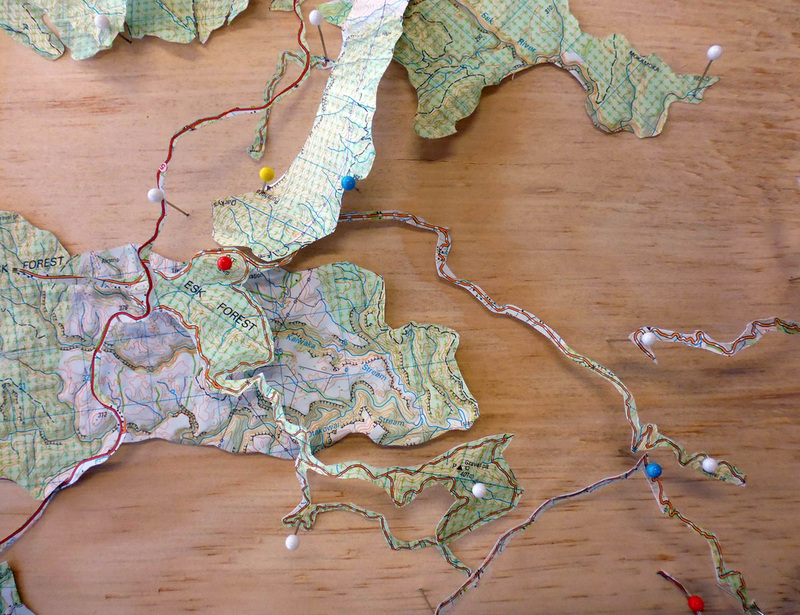 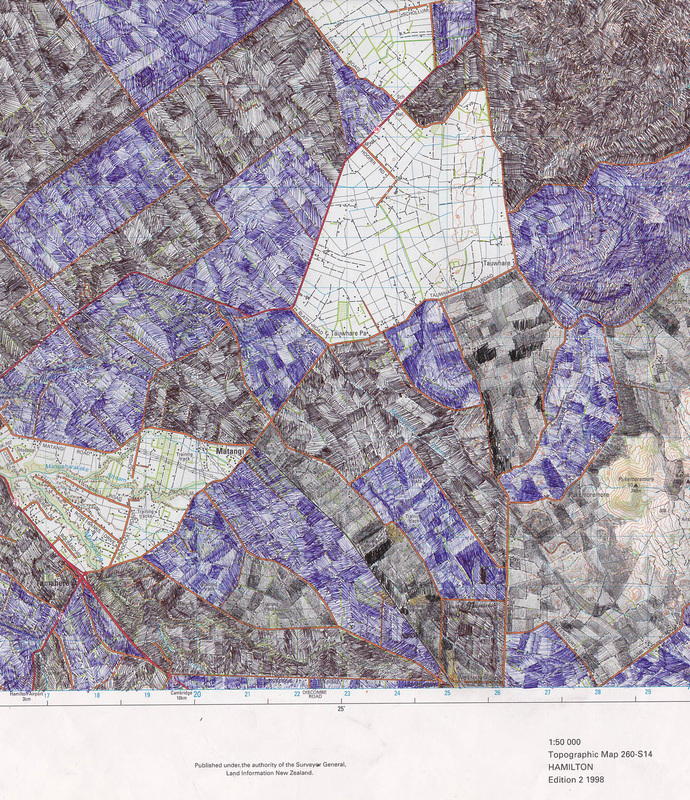 I like maps and have used them in my own work and in projects working with people. They have been particularly helpful at the start of some projects as a way to get people to look at the area we are working on, in different ways. 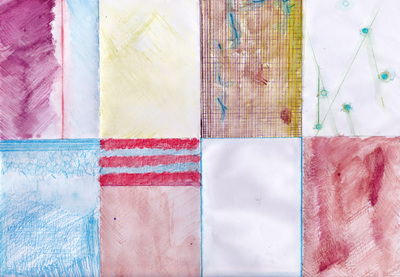 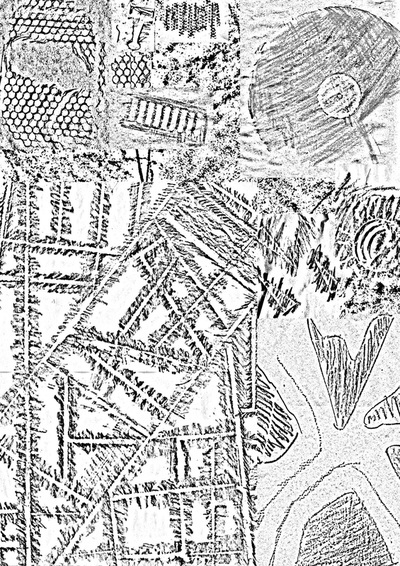 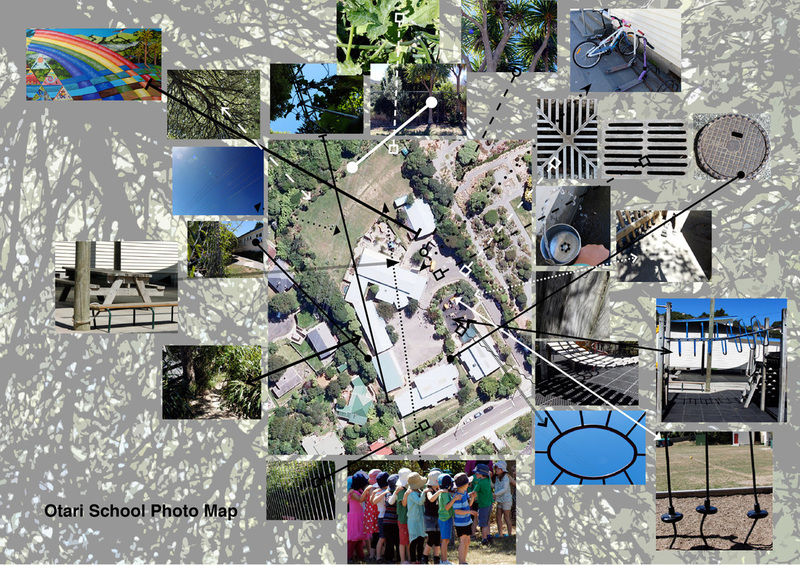 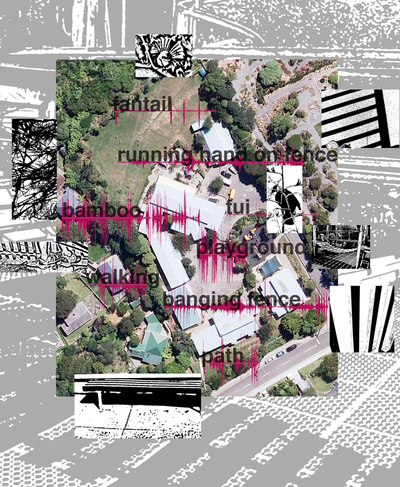 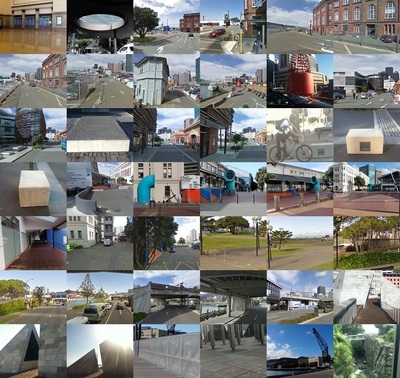 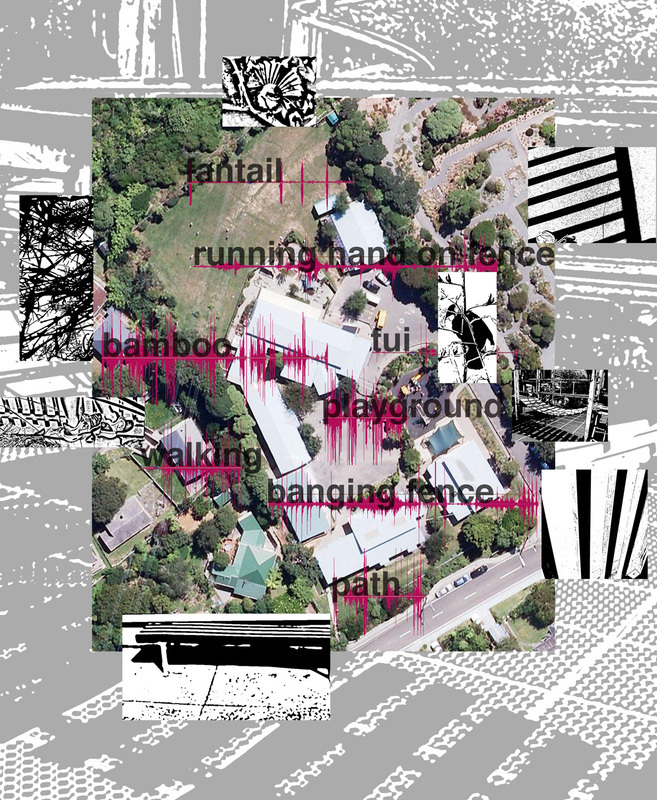 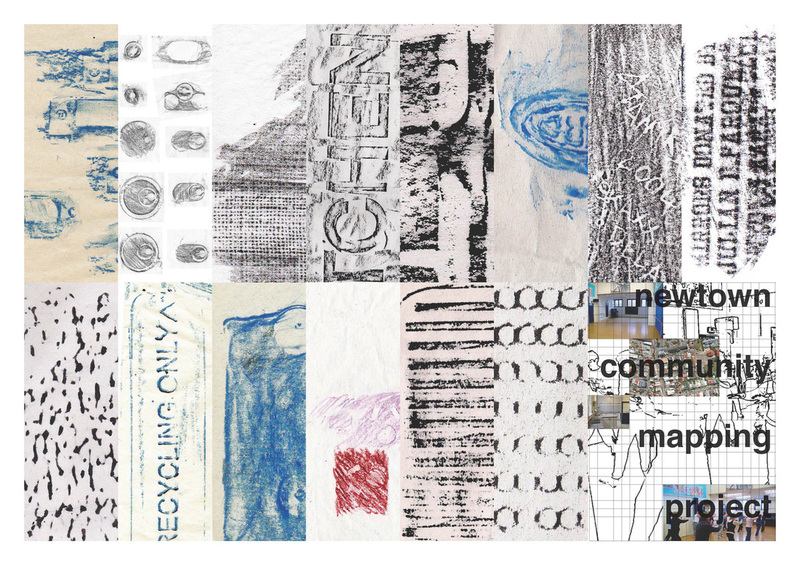 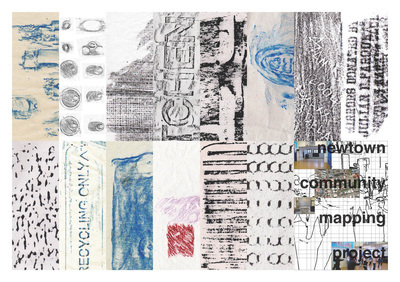 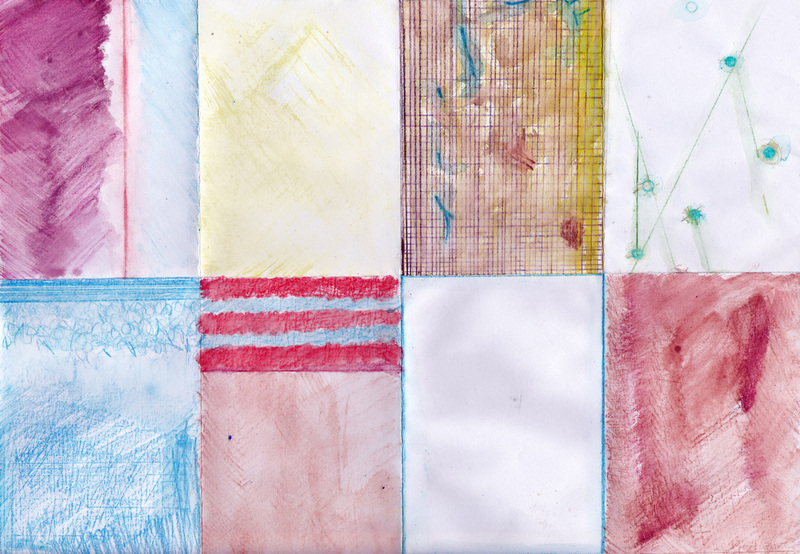 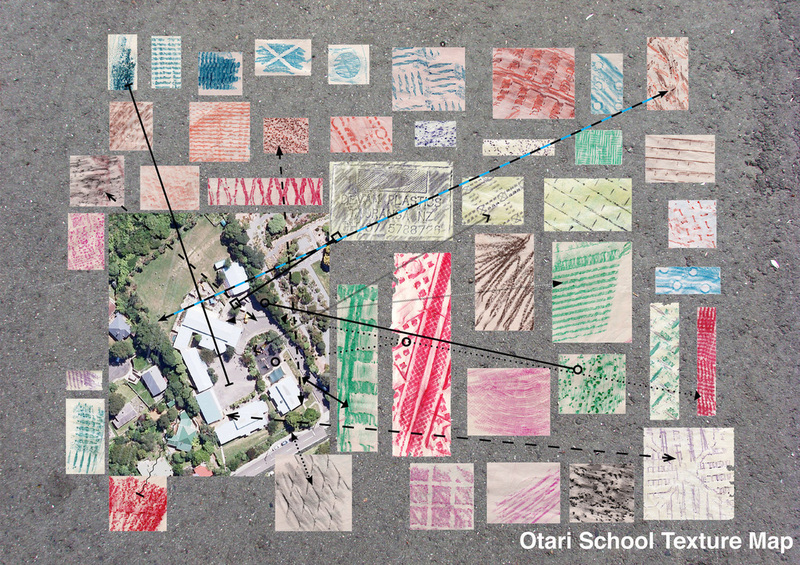 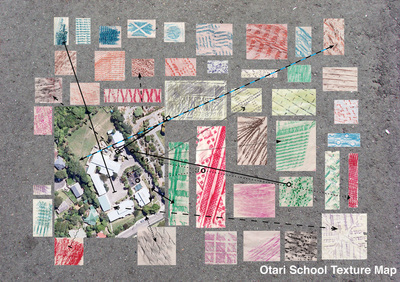 For example at Otari School the students and I made a series of maps of the playground and school grounds using sounds, textures and colours, it helped us look at a place we thought we new in a new light. 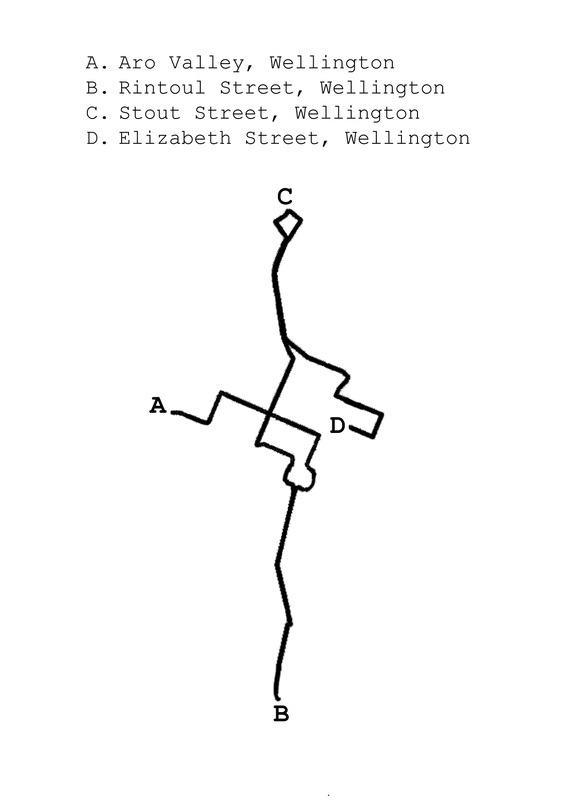 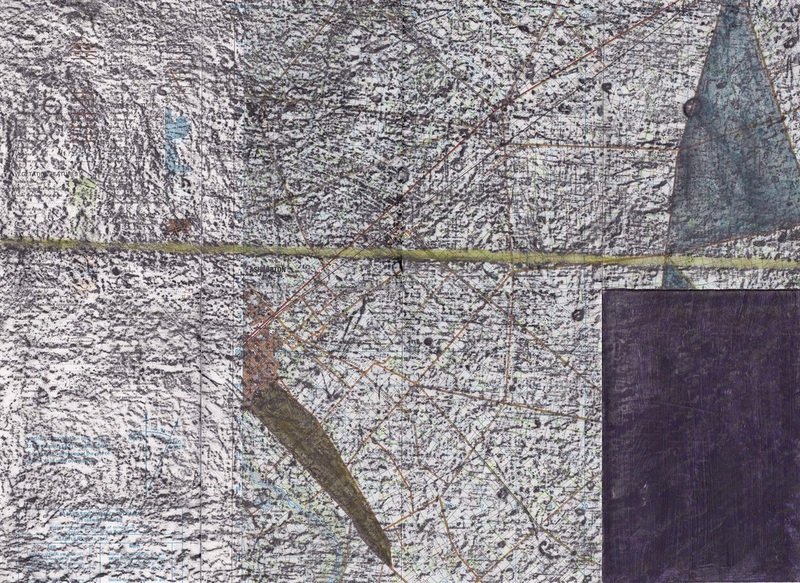 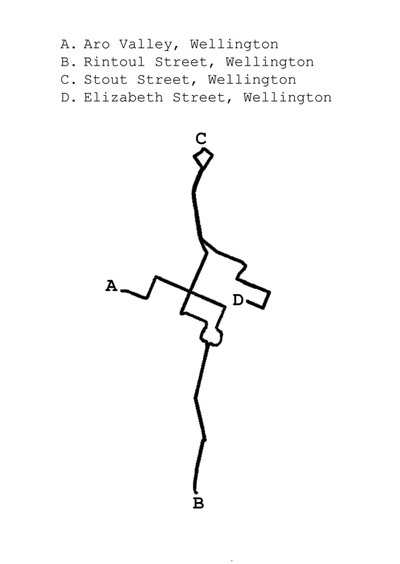 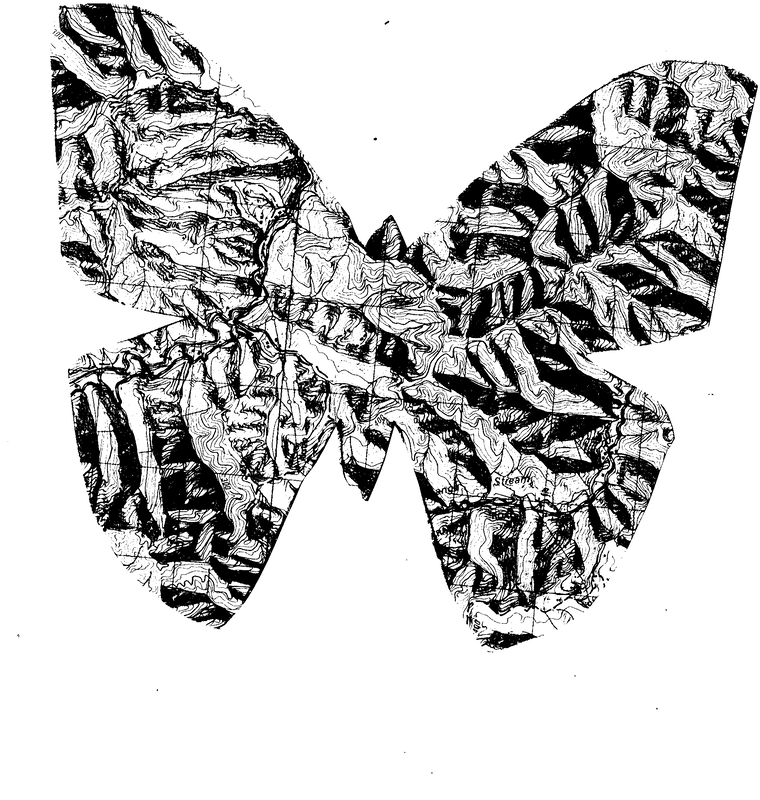 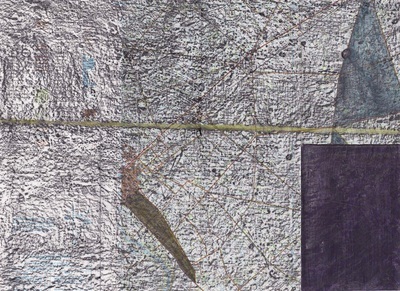 Below are various images of work incorporating maps.